Cat behaviour can be puzzling! They make a range of different noises and have many postures of body language that can tell you a lot about how they are feeling. 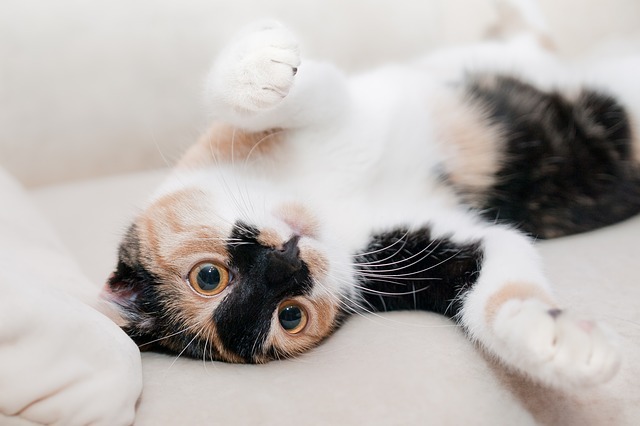 At Petrest we thought we’d try to decipher some of the most common bits of cat body language. 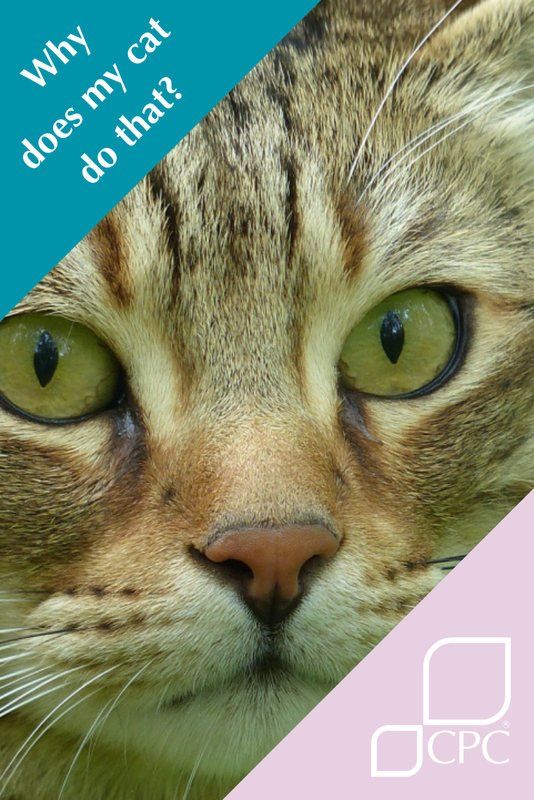 We’ve gathered some real life images from across the web to try to explain why exactly your cat DOES do that? 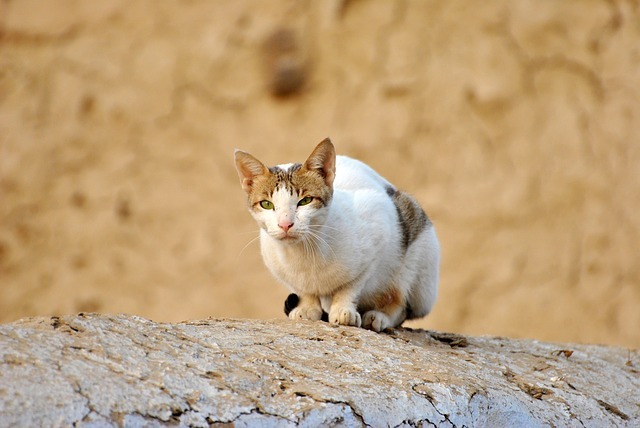 Attentive Cats – Cats that are sitting up straight with their ears up and looking alert are being attentive. They may have heard a noise, smelled a mouse or they may be listening out for you to come home (or say ‘dinner!’). This is a good posture for a cat. 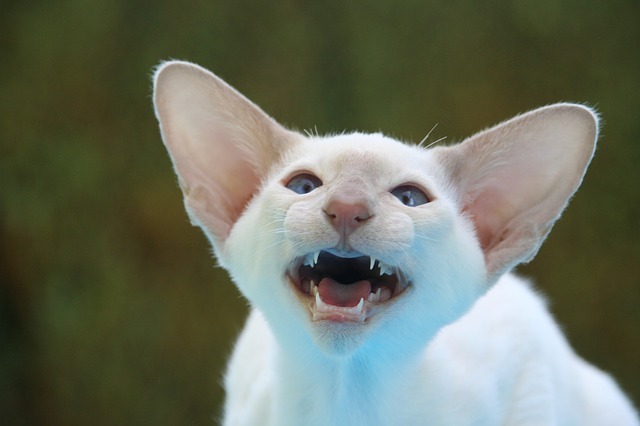 Excited Cats – It’s usually fairly easy to see when a cat is excited, their features are bright and cheerful. Much like the attentive cat, excited cats’ ears are alert and forward and they’re putting their body towards the excitement. 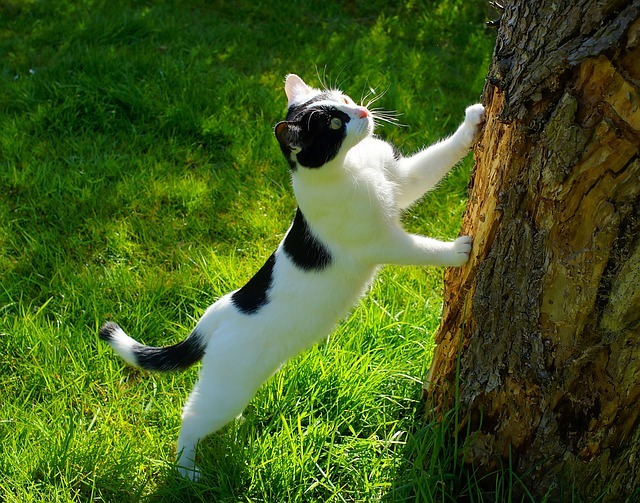 The cat in the photo is either getting ready to climb up the tree or having a good scratch, both signs of an excited cat! Gifts – While many cat owners find the “gift bringing” their cat does pretty horrible, it’s actually quite a sweet gesture from your kitty! 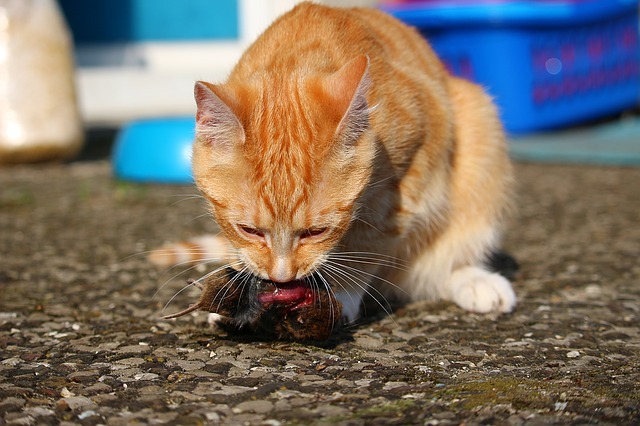 Although not pleasant for us, your cat sees bringing you a gift as a great show of love and affection. He will also see it as teaching you how to hunt, and showing off his hunting prowess. Lovely. 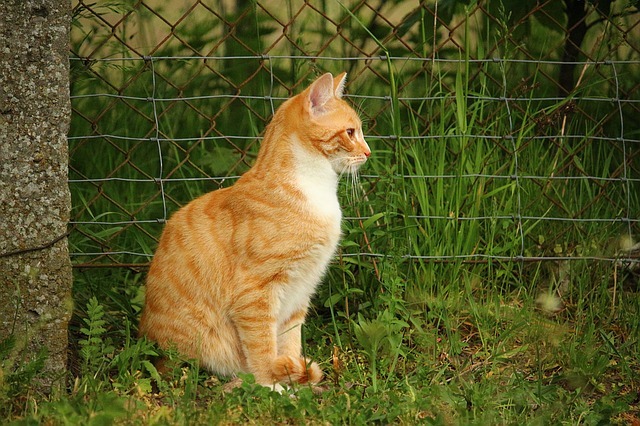 Interested Cat – This is again very similar to attentive cat. Interested cat has definitely heard or seen something she likes, and she’s now focused on getting it. This is categorised by ears being forward, eyes wide and focused and body ready to pounce or run. The cat in this photo has definitely seen something she’s interested in! 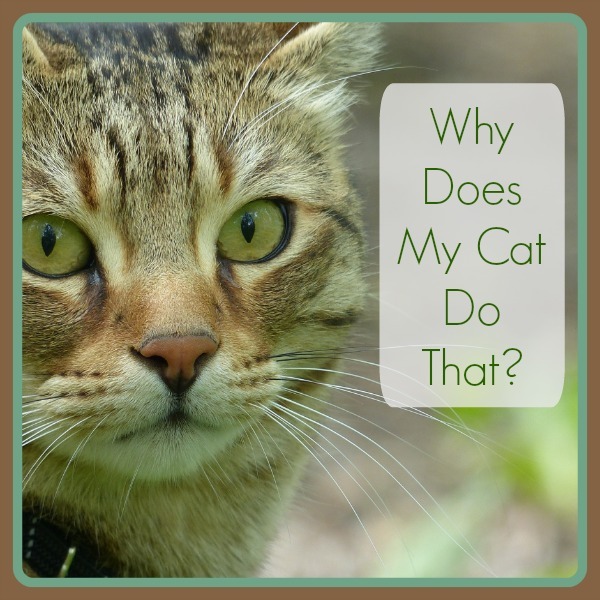 Irritated or Annoyed – Cats who are irritated will display in a few different ways. The most common features are raised heckles (to make them seem bigger) and body on alert. 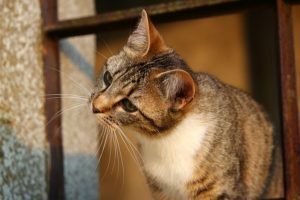 As with Interested Cat above, their ears will be forward and they will be ready to move, but the features of an irritated cat will be a lot harder than the soft interested features seen above. Playful Cat – Cats who are playful like to sit on their hind legs and use their paws. 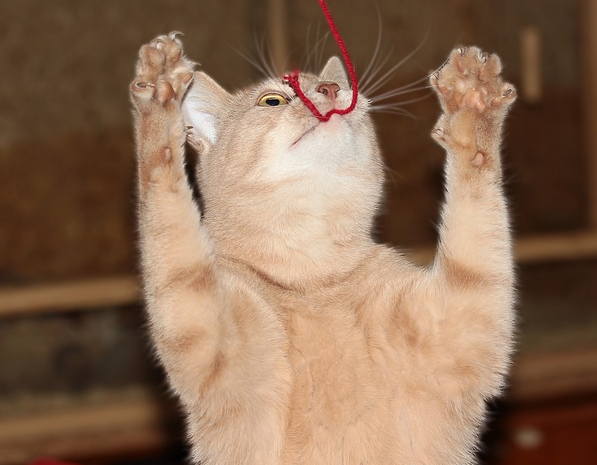 They love catching things with their claws and enjoy teasing games, such as the cat wand we saw in our 10 DIY Toys blog. Some lazy cats will play whilst laying down, and others will be jumping around like crazy kitties! 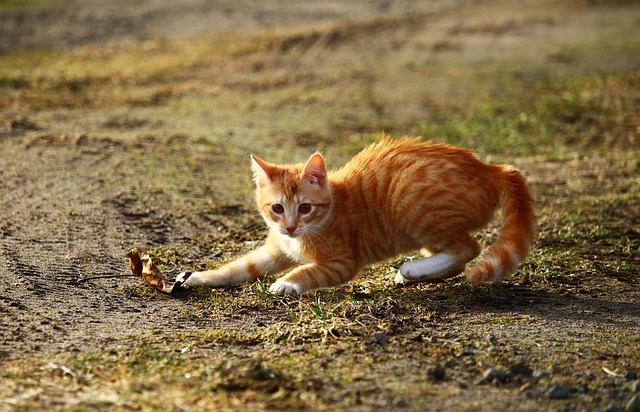 Predatory – Cats are natural predators and this one is no different! Predatory cats, like irritated cats above, will be very focused. Instead of being annoyed, they are concentrating on their prey and working out the exact time to strike! They usually keep low and stay very still until the last moment! Scared (anxious) – In this photo we can see the kitty in question is scared and anxious. All felines can be skittish creatures and look quite anxious over relatively small things. Cats can be shy creatures. It’s best to keep an eye on your cat, if this is behaviour is out of the ordinary and for no good reason (e.g. a door bang that startles them) it might be worth just popping them to the vet to get them checked over. Scared (defensive) – This is another variation on the scared pose. While the previous cat made himself smaller, this cat is making himself bigger! 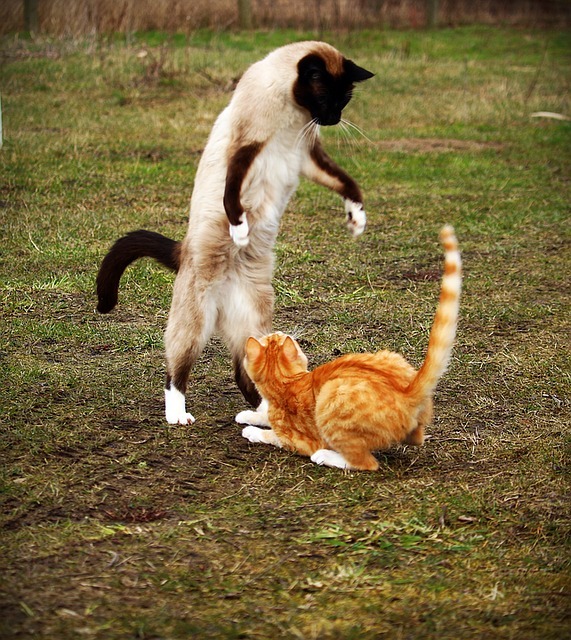 Cats will pull this look even when playing with their buddies (like the cat in the photo). Cats will also hold his pose when they’re scared but need to feel defensive. They make themselves bigger by standing on their hind legs, puffing out their fur and getting those sharp claws out. This cat is not to be messed with! Scent Marking – We all know how dogs scent mark, and cats aren’t totally innocent in the more ‘fluid’ methods of scent marking either. Cats, however, have another much cuter way of scent marking: rubbing! 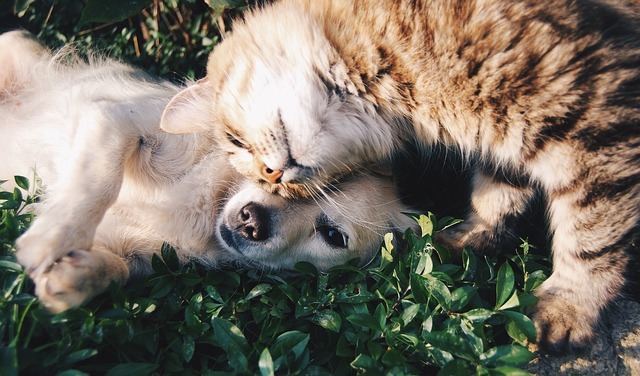 When a cat comes up to you and rubs his head on you (or on his puppy friend as in this photo!) he’s actually saying “you’re mine!”. That’s kinda cute! Cats will scent mark anything they want other cats to know belongs to them: table legs, stairs, owners, etc. Trusting Cats – We’re finishing with what we think is the cutest picture! Cats who are trusting will quite happily roll over and show you their belly. This is a sign of submission and understanding that you are top cat! *No harm came to any of the cats in the making of this blog, the scared photos were just caught at the right moment!